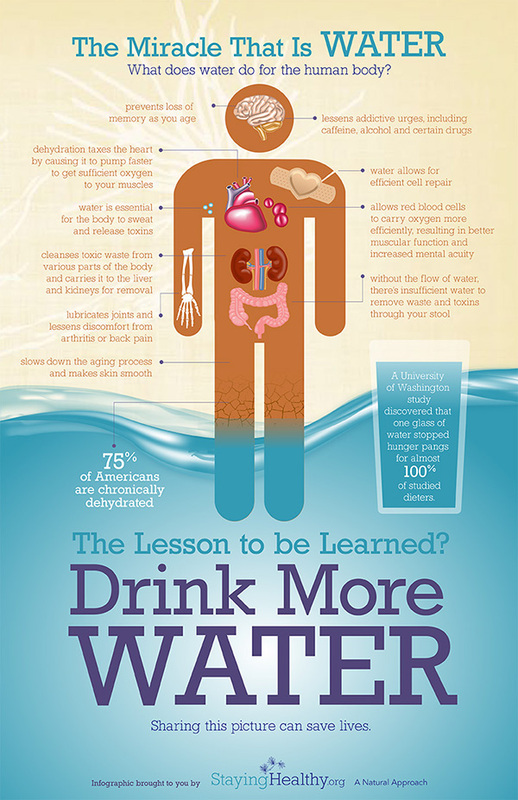 Water is crucial to your health and plays many important roles within the body. It acts as the solvent in chemical reactions that occur inside the body, helps maintain heart and blood volume and allows the absorption of many vitamins and minerals. Water also helps remove bodily wastes, is part of our metabolism, nervous system and helps us regulate our body temperature. Without adequate water, all of these aspects of our living are impacted. Water (called Total Body Water [TBW] when analyzed in the body), is very tightly regulated within the body. A complex system of hormonal and kidney responses maintains the volumes and concentrations of the fluids within our bodies in response to the slightest changes of over or under hydration. The system helps maintain an average TBW of about 60%. That means a 70 kg person (a 154 lb person) is made up of about 42 L (just over 11 gallons) of water! All tissues contain water. In fact, fat free mass is made up of 70%-80% water and fat tissue is about 10% water. Therefore, an athlete – who has more muscle and less fat – will have a higher TBW than a non-exerciser – who will have relatively less muscle and more fat. Thus, it would make sense that if you start an exercise program there will be an increase in recommended water intake. Over the course of a day, our TBW changes a lot. 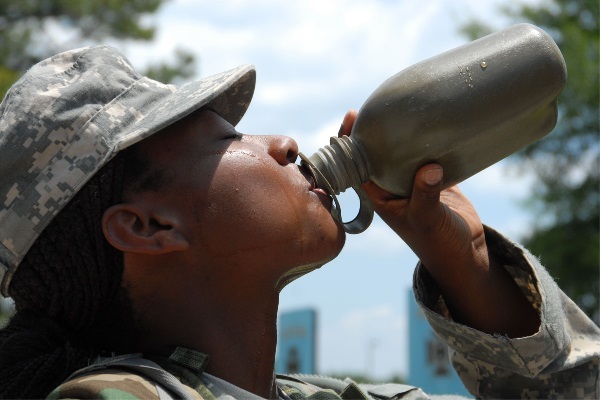 We can lose water during exercise, heat, physical labor, or illness. The most common cause of water loss is in the form of sweat. Sweating rates are very individual and are influenced by things such as body weight, genetics, how acclimated you are to heat and metabolism. Research is beginning to recognize an increasing correlation between dehydration and chronic disease. There is evidence that chronic dehydration can promote obesity and alter metabolism. Moreover, it has been suggested that between dehydration accounts for things such as kidney stones, constipation, high blood pressure, urinary tract infections, stroke, gallstones, glaucoma, and dental diseases among other conditions. Dehydration has been shown to have a negative impact on mental performance and anaerobic/aerobic exercise performance. For example, a 2% body mass loss due to water loss is recognized as a threshold where aerobic performance can decrease anywhere from 7% to 60%. How Much is Enough? It’s Not the Same for Everyone! The Institute of Medicine [IOM] has established adequate intake recommendations for water based on national surveys. These recommendations are 3.7 L/day (~16 cups/day) for men and 2.7 L/day (~12 cups/day) for women and includes water taken in by food consumption. Factors such as level of physical activity, age, and environment can change requirements. For example, the IOM recognizes that moderately active adults in warmer climates may require a minimum of 6 L/day (~24 cups/day) of water. Therefore it is important to honestly consider your level of activity, your climate, age and other factors when determining whether the recommended intake of 3.7 or 2.7 L/day is enough or if more water may be needed in your daily regimen. It takes several hours after guzzling a bunch of water before your body is re-hydrated, even if your urine turns clear soon after pounding the fluid. So, it’s best to provide your body with water consistently throughout the day. 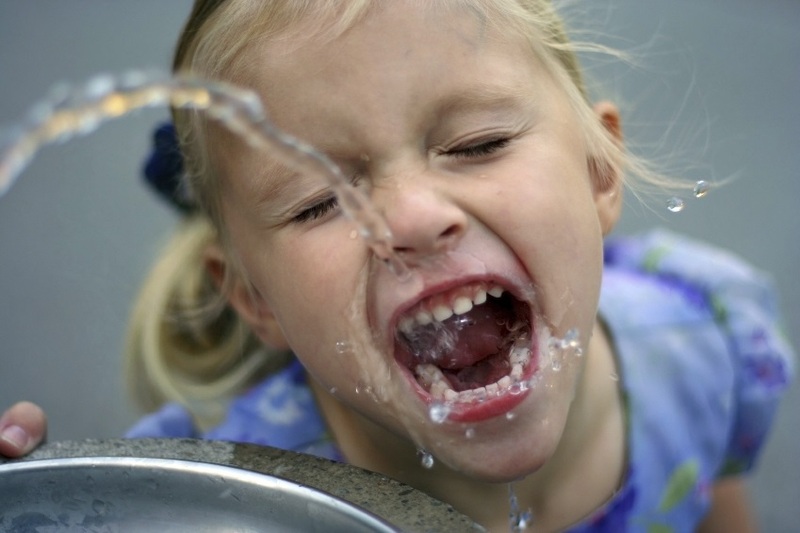 Thirst has been shown to be an inadequate indicator of hydration status. Therefore, don’t solely rely on whether you feel thirsty to decide on refilling your water bottle. Athletes should aim to be hydrated prior to activity, hydrate extra during activity, and continue regular hydration throughout the day after exercise. Often, the feeling of thirst comes about after the body is 1%-2% dehydrated. 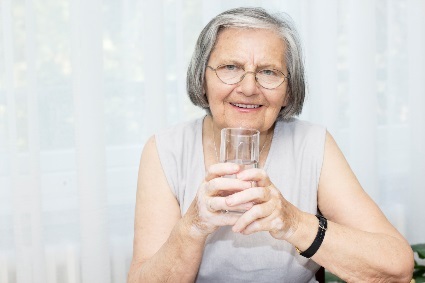 With as much as 16%-28% of adults being chronically dehydrated, and higher risks for the elderly and infants… the case for emphasizing the importance of adequate water consumption has never been stronger. Millard-Stafford, Minday, Deborah Wendland, Namrita O’Dea, and Tracy Norman. “Nutrition Reviews.” Thirst and Hydration Status in Everyday Life. Oxford University Journals, 1 Nov. 2012. Web. 4 Aug. 2015. <http://nutritionreviews.oxfordjournals.org/content/70/suppl_2/S147.full#xref-ref-1-1&gt;. Gandy, Joan. “Water Intake: Validity of Population Assessment and Recommendations.” European Journal of Nutrition Eur J Nutr (2015): 11-16. Web. 4 Aug. 2015. <http://link.springer.com/article/10.1007/s00394-015-0944-8&gt;. Gibson, S., P. Gunn, and R. J. Maughan. “Hydration, Water Intake and Beverage Consumption Habits among Adults.” Nutrition Bulletin 37.3 (2012): 182-92. Web. 4 Aug. 2015. <http://onlinelibrary.wiley.com/doi/10.1111/j.1467-3010.2012.01976.x/full&gt;. Kenefick, Robert W, and Samuel N Cheuvront. “Hydration for Recreational Sport and Physical Activity.” Nutrition Reviews 70.2 (2012): S137-142. Web. 4 Aug. 2015. <http://nutritionreviews.oxfordjournals.org/content/70/suppl_2/S137.full#ref-17&gt;. Judelson, Daniel A., Carl M. Maresh, Mark J. Farrell, Linda M. Yamamoto, Lawrence E. Armstrong, William J. Kraemer, Jeff S. Volek, Barry A. Spiering, Douglas J. Casa, and Jeffrey M. Anderson. “Effect of Hydration State on Strength, Power, and Resistance Exercise Performance.” Medicine & Science in Sports & Exercise (2007): 1817-824. Web. 4 Aug. 2015. <http://www.researchgate.net/profile/Linda_Yamamoto2/publication/5936444_Effect_of_hydration_state_on_strength_power_and_resistance_exercise_performance/links/09e4150985f0e387f8000000.pdf&gt;. Kenefick, Robert W., Samuel N. Cheuvront, Scott J. Montain, Robert Carter, and Michael N. Sawka. “Human Water and Electrolyte Balance.” Erdman/Present Knowledge in Nutrition Present Knowledge in Nutrition (2012): 493-505. Print. Sawka, Michael N., Louis M. Burke, Randy Eichner, Ronald J. Maughan, Scott J. Montain, and Nina S. Stachenfeld. “Exercise and Fluid Replacement.” Medicine & Science in Sports & Exercise 39.2 (2007): 377-90. Web. Gropper, Sareen Annora Stepnick., Jack L. Smith, and James L. Groff. “12 Water and Electrolytes.” Advanced Nutrition and Human Metabolism. 5th ed. Australia: Wadsworth/Cengage Learning, 2009. 455-473. Print.